Popular for an iconic design, high speeds and as an overall sweet ride, the Porsche 911 is legendary to auto enthusiasts worldwide. Companies such as PMO have dedicated their engineering talents to ensure superior performance for this particular sports car's engine. As the original manufacturer of 911 carburetor conversions, PMO is the only company in the world dedicated exclusively to providing them. (Source: pmocarb.com). More recently, they've teamed up with Smart Products to incorporate Series 300 Check Valves in their carburetion kits. 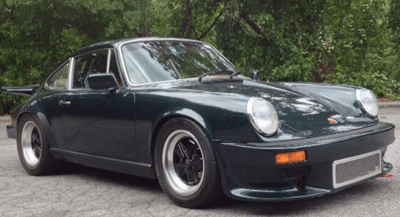 For Porsches with power brakes, a check valve is needed to maintain vacuum in the line to the brake booster. Vacuum is taken off one of the intake manifold bores and the check valve screws into it. Once inserted, the valve stores vacuum in the line leading to the power brake booster and allows the power brakes to operate instantly. Series 300 Modular Check Valves were an ideal match for PMO's design criteria due to the versatility of their end fitting styles. For this particular device, the Model #308, a 1/2" barbed, paired with the Model #312, a 1/4" NPT, was the perfect solution for their carburetor kit. The valves also provided an added bonus of eliminating the need for a separate fitting. Additionally, the Model #308/312 was available in an Ultem® plastic body material to meet the application's high temperature operating requirements. Franz Blam Racing, a customer of PMO, recently shared their success with a carburetor kit featuring the Smart Products' Series 300 valve. 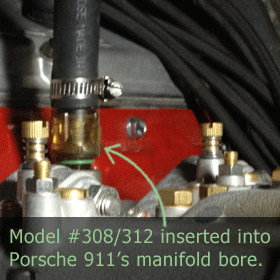 They reported the valve was "working really well" and shared a photo of it in the car's engine, as well as pictures of the overall Porsche 911. 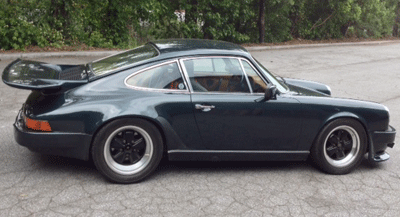 Located in Tucker, Georgia, Franz Blam Racing has over 30 years of experience maintaining, rebuilding, or restoring German cars to include the Porsche 911. For more information, visit http://www.franzblamracing.com/.